Followers – Do You Have More Than One Blog You’d Like To List? Thank you, Angel Fractured, for asking about it. This is Angel’s new blog. Go and have a look. Week 4, Monday, 11.05 am. A better week than last week! Hooray! Blog link with the most clicks – bipolardisordersucks (Dorothy’s blog) is still the All Time Most Clicked. I’ve unclicked all the links in the table because when I post them I get a big load of pingback comments and the emails to notify me that I’ve got the pingback comments. That bottom one is Iceland with 1 view but I can’t get it to copy over. I’ll probably do Weekly Country Views once the list gets longer or the page will go on forever. All photographs and pictures are copyrighted to their creators. I found them on Google. I coloured in the llama. 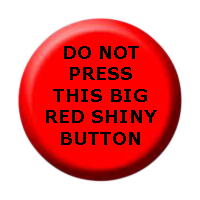 Take a button, put it on your blog and link back to here. Please. DestreyAn innteliglet point of view, well expressed! Thanks!